Our priority is your safety and having fun with our professional well trained staff from our school, qualified instructors and our new, quality and well maintained equipment. Don't forget your FREE photos and videos from your recreational diving session. Exclusive VIP services. 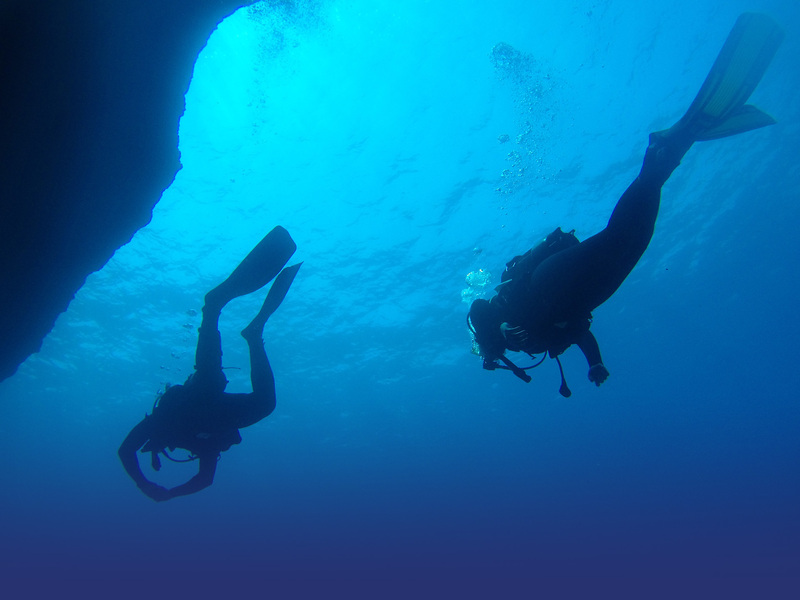 Tailor made diving excursions designed to meet all your needs. There are many diving destinations to choose; from the beach, boat or you can get a diving certification and continue to explore the oceans around the world. We welcome you and invite you to dive in the enchanting waters of the Aegean Sea. Together we will discover the beauties and secrets of Kalymnos depths. 1Why should I try scuba diving? Scuba diving opens up a new underwater world. Divers cite the sensation of breathing underwater, feeling weightless, seeing incredible marine species and connecting with friends and family as some of the major reasons they love the sport. In short, scuba diving allows you to see and experience things that can be found in no other way! 2How long does it take to earn a scuba diving certification? It's always one of the first questions that comes up: How long is this scuba course going to take? Before you go scuba diving, you need to have the knowledge and skills to pull it off. A scuba diving certification course will give you just that and get you ready for some amazing adventures underwater. We offer different schedules for certification. The certification course could take as little as four to five days. 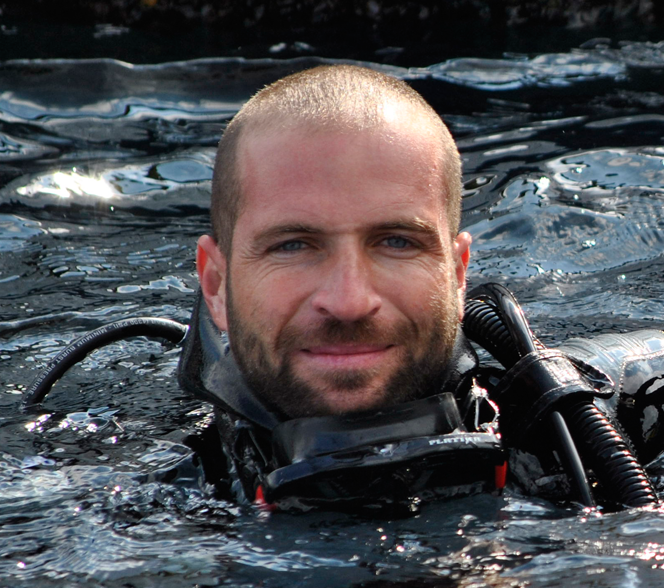 3Does your scuba diving certification expire? No. Most recreational scuba certifications do not expire. However, it is important to keep up to date with your knowledge and skills to ensure a fun and safe dive. Generally we will ask to see a log of your latest dive, and if you have not been in the water recently, you will have the chance to complete a skills check or refresher course. 4Can I get certified with my family/friend? Of course! Having a friend or family member working toward a scuba diving certification with you at the same time can make the experience even better. You’ll have a dive buddy from the get go! 5Is there an age limit for scuba diving? The minimum age requirement for our training programme is 12. The student achives the Junior Opens Sport Diver certification and has the right to dive up to 12 meters depth with an adult member of his family, an adult friend or instructor. 6Should I buy or rent gear? No you should not buy or rent gear. We offer you the gear with our courses and other activities. 7What are the physical requirements? Scuba diving is a fun, relaxing activity, but it’s important for divers to be healthy and fit. Before getting in the water, students must complete a medical questionnaire — they’ll be asked to receive a doctor’s clearance if any potential medical issues exist. This way, they are safe to go full steam ahead with the dive course. It’s also important to be comfortable and competent in the water. Φοβερή εμπειρία....θα το έκανα ξανά εύκολα!!! Had such an amazing time. I went with three friends who had never dived before. He took the time to explain the basics and guided us through the process. Clean and new equipment. Thanks for the awesome dive! Καταπληκτική εμπειρία αν και πρώτη φορά θα το ξαναεκανα ανεπιφύλακτα. Ο δάσκαλος Παύλος σε όλη την διάρκεια με την εμπειρία του σε κάνει να νιώθεις ασφαλής και να απολαμβάνεις κάθε στιγμή της κατάδυσης! Paul is the best! φανταστικη εμπειρια!!!! ο Παυλος αψογος ξεναγος στο κοσμο του βυθου!!! ΥΠΈΡΟΧΗ ΕΜΠΕΙΡΊΑ!!!!!!! ΤΟ ΣΥΝΙΣΤΩ ΑΝΕΠΙΦΎΛΑΚΤΑ!!!!!!!!!!!!!!!! Ασφάλεια εξυπηρέτηση σύγχρονο εξοπλισμό συνδύαζει τα πάντα!!! I did a day's diving with them and then came back for more. Had a great time diving in the best spots in the Dodecanese. All the equipment is brand new and the wetsuits actually keep you warm. The owner Paul is a very relaxed cool guy and helped me renew some of my dive knowledge. Thanks very much! Άριστες και ασφαλείς παροχές από τον καλύτερο επαγγελματία. Ήταν πάρα πολύ ωραία εμπειρία...ανυπομονώ να ξανά βουτήξω!!!! Enthousiasmenos me ton eppagelmatismo kai thn upeuthunothta! Exairetiko! !